Next week we welcome Enrico and Piero of Argalà to London for the very first time. Argalà is the project of these two childhood friends from Boves in Piedmont, who have long shared a passion for artisan drinks. They make spirits that give a nod to the wonderful ritual of aperitivo and are very much rooted in the Maritime Alps they call home. The alps sit somewhere between Piedmont and Provence and enjoy a unique microclimate influenced by both the Mediterranean and the mountains. The wild botanicals found here provide the foundation for their thrillingly unique drinks. 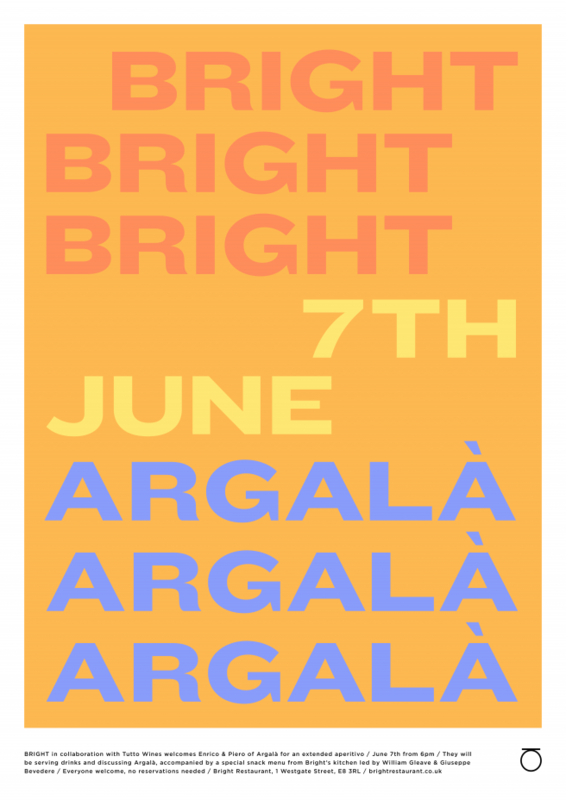 Next Thursday 7th June from 6pm, Enrico and Piero will be behind the bar at Bright in London Fields hosting an extended aperitivo. They’ll be serving up their own bitter & soda, a spritz, gin tonic, an alpine Negroni and of course their incredible pastis. Aperitivo is nothing without snacks and chefs William Gleave and Giuseppe Belvedere will be sending out plates with good drinking and good times in mind. Expect the likes of fried mozzarella pastry & anchovy, pizza fritta, farinata, some wonderful crostini and whole lot more to satisfy your hunger after a couple of drinks. There’s no need to book, so drop by after work with some friends to meet the guys, share a glass or two and have a bite to eat.